This document describes the terms and conditions for linking to, reproducing, and using the materials located in the Purdue OWL, the Purdue OWL News, and the Writing Lab at Purdue sites. This site is copyright ©1995-2018 by The Writing Lab & OWL at Purdue University and Purdue University. All rights reserved. This material may not be published, reproduced, broadcast, rewritten, or redistributed without permission. In addition, Purdue OWL pages may not be presented in frames of any kind. We are glad to make materials of all kinds available to users from all over the world. However, in order to protect our rights with regard to the materials we have created, we request that you abide by the following policies. Your use of the site and any materials contained therein will constitute your acceptance of the following terms and conditions. The Purdue OWL is freely available for all educational, personal, or training purposes. You may print pages of the Purdue OWL's instructional materials (handouts) or use other media free of charge. When printing any of our handouts, you may not modify them in any way (see the "Instructions for Printing from the OWL" section below). The copyright notice and the URL for the document being distributed must appear on each one of the Purdue OWL instructional materials you print. 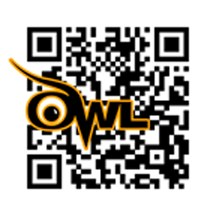 You may freely make copies of OWL materials for personal, educational, or training purposes. When photocopying any of our handouts, you may not modify them in any way. The copyright notice and the URL for the document being distributed must appear on each one of the Purdue OWL instructional materials you print. In the case of materials such as our PowerPoint presentations, you may not modify this material in any way, and the OWL copyright notice and authorship information must remain intact. When using our PowerPoint presentations, please ensure you are using the most current version of a presentation. We revise the presentations on an as-needed basis to reflect changes in style manuals, such as APA and MLA. You may not download or reproduce our graphics or visuals separate from the documents that contain them. This includes the OWL at Purdue logo, the Writing Lab at Purdue logo, or handout graphics. You may not copy and paste any information from the OWL into another document. All resources must be used as they appear on the OWL and in their entirety. Employee trainers, government training, workshop leaders: You may print and distribute pages of the Purdue OWL's instructional materials (our handouts) at no charge if the materials are for non-profit training purposes, such as ESL training for employees. Go to the resource you would like to print. Scroll to the bottom of the page where you will see the "Print this Resource" icon. Click the "Print this Resource" icon. Once you click on "Print this Resource," a new window will open with the full resource that is printer-ready. You may print the resources from this window. Select "File" in your browser. Select "Print" from the dropdown menu. Choose a page range to print from your browser. If any profit is connected to the use of the materials (including reprinting materials in a book, using them as part of a for-profit training course, reprinting screenshots, etc.). If any fee is charged, or if providing such materials enhances your commercial interests. Commercial websites, book authors, and other for-profit services are still welcome to link to the Purdue OWL. See the "Linking to the Purdue OWL" section below. MIRRORING, FRAMING, OR TRANSFERRING PURDUE OWL MATERIALS TO A WEBSITE WITHOUT A LICENSE AGREEMENT IS NOT LEGAL AND THE REQUESTING PARTY WILL NOT BE GIVEN AUTHORIZATION. You are free to link to http://owl.purdue.edu without notifying us or asking permission. Links should be attributed to the Purdue University Online Writing Lab (OWL). In order to help us serve OWL users better and to keep our own personal records, however, we would appreciate knowing about links to our site. Please send email to the OWL Coordinator when you link to our site, telling us what site you will be linking to us. Information about who links to our site will be kept confidential. All links must be directly to the Purdue OWL site. You may not download materials to other sites or hard-drives for users to link to. MIRRORING OR TRANSFERRING PURDUE OWL MATERIALS TO A WEBSITE IS NOT LEGAL AND THE REQUESTING PARTY WILL NOT BE GIVEN AUTHORIZATION. ANY PRESENTATION OF OWL MATERIALS THAT PRESENTS THEM WITH COMMERCIAL CONTENT ATTACHED OR SO THAT THEY APPEAR TO BE THE PROPERTY OR WORK OF ANOTHER IS NOT PERMITTED. Examples of such presentation would include linking within a frame that includes advertisements or linking within a frame so that The OWL Family of Sites' materials appear to be part of another site. While we recognize that there are legitimate uses for frames, we would prefer that links to OWL be unframed.